This comprehensive kit keeps the chef's most important tools with easy reach. 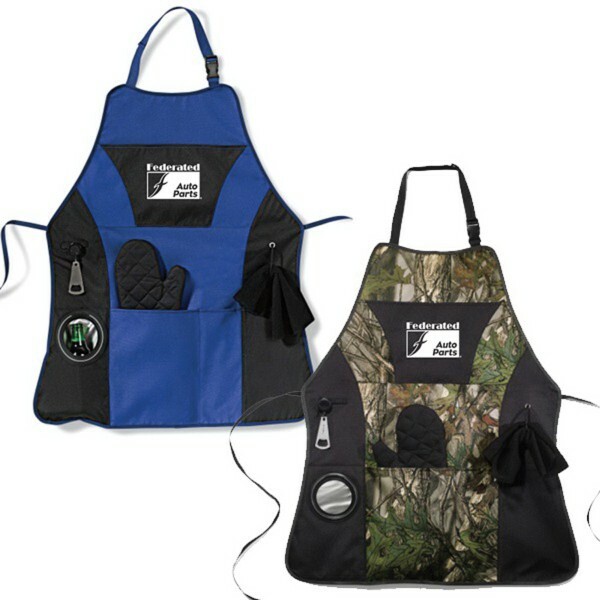 Includes: Apron, detachable bottle opener, padded oven mitt and towel. Front features multiple pockets for storage including insulated pocket for keeping beverage cold. Detachable neck strap and side tie strings. Machine washable. As seen at the Federated Meeting in Phoenix.